Moore B., Malimali S. 2016. 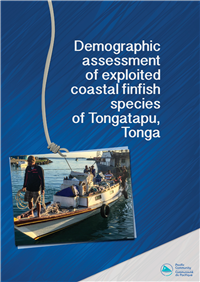 Demographic assessment of exploited coastal finfish species of Tongatapu, Tonga. Noumea, New Caledonia: Pacific Community. 24 p.